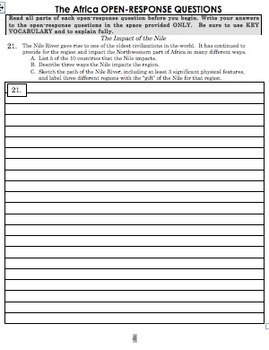 Need a no prep unit test or assessment for a unit on the Geography of Africa? 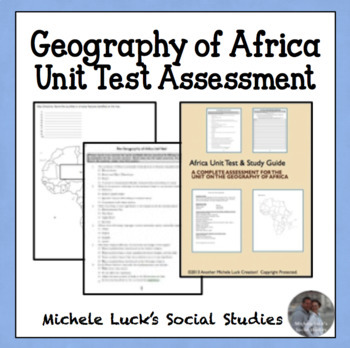 This is a unit test covering the Human and Physical Geography for the continent of Africa. 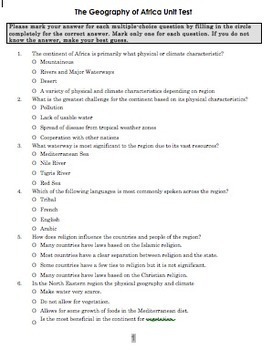 A study guide is included to help students prepare for the unit test. The test is 6 pages, followed by a complete answer key. 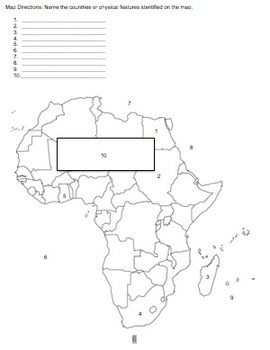 This is also included with my Geography of Africa Complete Unit. In the unit, you will find everything you need to implement the lessons and activities for a full view of Africa, including the challenges and opportunities in the region. See my TpT Store for other great lessons, activities, assessments, games, and so much more!